The Blackblot Strategic Product Manager™ (SPMR) course is organized by Learn Valley Ltd., an Authorized Training Partner of Blackblot® for Europe. EU Businesses registered in countries other than Bulgaria will not be charged VAT due to EU Reverse Charge Mechanism. For more information or in case you have questions please contact us: Learn Valley Ltd. VAT: BG204703432. A: Ekzarh Yosif 30B, Sofia 1000, Bulgaria. W: www.learnvalley.org. E: dimitar.stoev@learnvalley.org. M: +359 889 895 559. The Blackblot Strategic Product Manager™ (SPMR) course is a fast-track three-day program that presents attendees with a practical and interactive learning experience and provides the necessary knowledge and skills to plan and manage advanced products at technology companies. 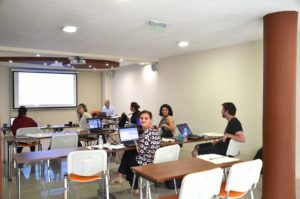 The training program is applicable to product management professionals of all levels with over 90% of training attendees reporting a better understanding of product management after Blackblot training. All training graduates receive free professional support from Blackblot during their career in product management. Each Blackblot training attendee receives at no extra charge a training package which includes a free digital copy of the “The Product Manager’s Toolkit: Methodologies, Processes and Tasks in Technology Product Management” 2nd edition book, free online hosted copy of Blackblot Product Manager’s Toolkit® (PMTK) professional template collection, lifetime free and unlimited updates and upgrades to PMTK, one-time free registration to each of the available Blackblot Product Management Professional™ (BPMP) certification tests in product marketing and management and Blackblot Psychometric Test™ (BPT) psychometric tests, cloth carry bag, digital slides booklet and action plan, membership in the “Blackblot Alumni” career networking group, and digital copies of the official course certificate of completion. All course materials are in the English language. 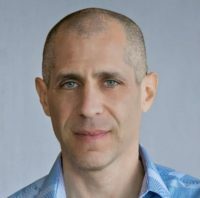 Gabriel Steinhardt is Blackblot’s founder and CEO, a recognized international technology product management expert, author, lecturer, and developer of practical tools and methodologies that increase product managers’ productivity. A marketing and information systems MBA with over two decades of experience in product management with technology products, Gabriel has assumed diverse leadership roles with major corporations and start-ups in marketing, product management and technical undertakings. Gabriel is the developer of the Blackblot Product Manager’s Toolkit® (PMTK) product management methodology, a globally adopted best practice. Gabriel will be delivering the Blackblot® Strategic Product Manager™ (SPMR) Training Course in Sofia, Bulgaria. 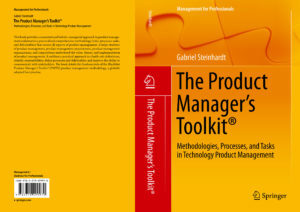 Gabriel has delivered hundreds of training courses on product management. His courses have been attended by companies from Australia, Belgium, Canada, Finland, France, Germany, India, Ireland, Israel, Poland, Portugal, Singapore, Spain, Switzerland, United Kingdom, and USA. Strategic Product Management™ (SPM) – This one-day core seminar provides attendees with the knowledge, skills and tools to effectively plan and market technology products and services. Product management is a domain that holds two disciplines: product marketing and product planning. Accordingly, this seminar is based on the Product Manager’s Toolkit® (PMTK) and PMTK Action Model™ – a comprehensive set of product planning and product marketing work templates, and accompanying process methodology, that illustrate notable best practices and processes (used by top technology companies) to create successful market-driven products. Procedural Requirements Management™ (PRM) – This one-day advanced seminar provides attendees with the knowledge, skills and tools to effectively identify and articulate market and product requirements. Ambiguous market requirements lead to flawed products and dissatisfied customers, but well defined market requirements are the basis for a smooth development process and marketplace success. This seminar demonstrates effective practices that clearly identify and articulate market and product requirements. The outcome is a whole Market Requirements Document (MRD) that represents an intelligent commitment to customers. 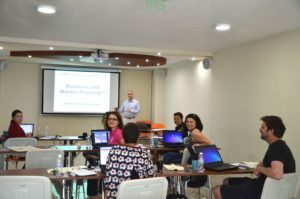 Business and Market Planning™ (BMP) – This one-day advanced seminar provides attendees with the knowledge, skills and tools to effectively contribute to business and market planning activities. Companies operate in dynamic and complex environments that impact their ability to be profitable. Consequently, it only makes sense to pre-plan the direction of a business so that the products and services it provides meet the overall business objectives. This seminar explores key concepts and processes used in formulating plans that evaluate market opportunities and shape the resulting marketing efforts; i.e., business cases and market plans.